A mermaid's supernatural beauty serves one purpose: to lure a sailor to his death.The Massacre is supposed to bring peace to Eriana Kwai. Every year, the island sends its warriors to battle these hostile sea demons. Every year, the warriors fail to return. Desperate for survival, the island must decide on a new strategy. Now, the fate of Eriana Kwai lies in the hands of twenty battle-trained girls and their resistance to a mermaid's allure.Eighteen-year-old Meela has already lost her brother to the Massacre, and she has lived with a secret that's haunted her since childhood. 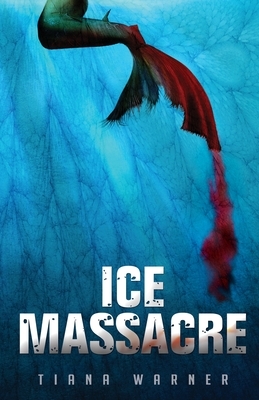 For any hope of survival, she must overcome the demons of her past and become a ruthless mermaid killer.For the first time, Eriana Kwai's Massacre warriors are female, and Meela must fight for her people's freedom on the Pacific Ocean's deadliest battleground. Tiana Warner was born and raised in British Columbia, Canada. She spends her free time riding her horse, Bailey, and is an active supporter of animal welfare.